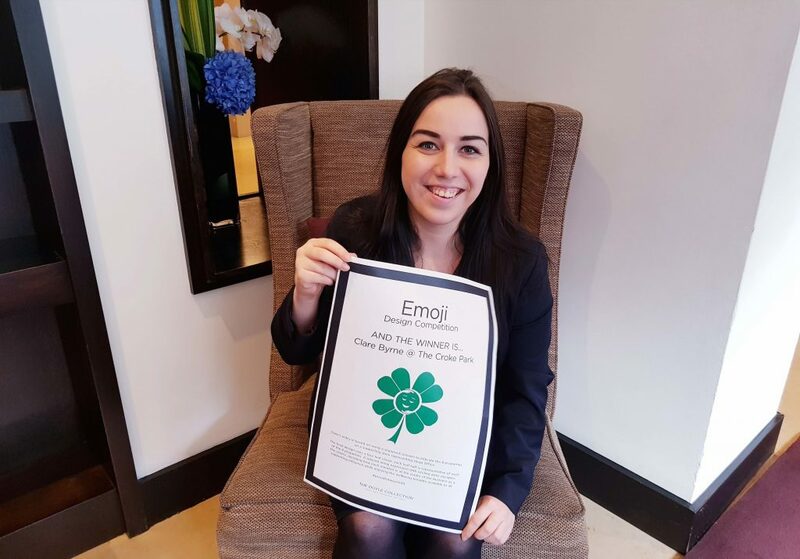 Claire Byrne from our Croke Park team was the winning designer of our Company Wellbeing Emoji. Claire’s design perfectly captured the essence of Wellbeing @ The Doyle Collection. on a supporting stem representing Head Office. The final design uses a four leaf clover, each leaf half is representative of each of the 8 properties. A relaxed emoji expression with circling arms occupies the centre, denoting how each member is at the centre of the business as a supporting influence while enjoying the wellbeing benefits available to all.